In the buildup to Bears Ears National Monument getting reduced by the Trump administration on December 4, 2017, it was widely reported that usage rights were being restricted, a falsehood. 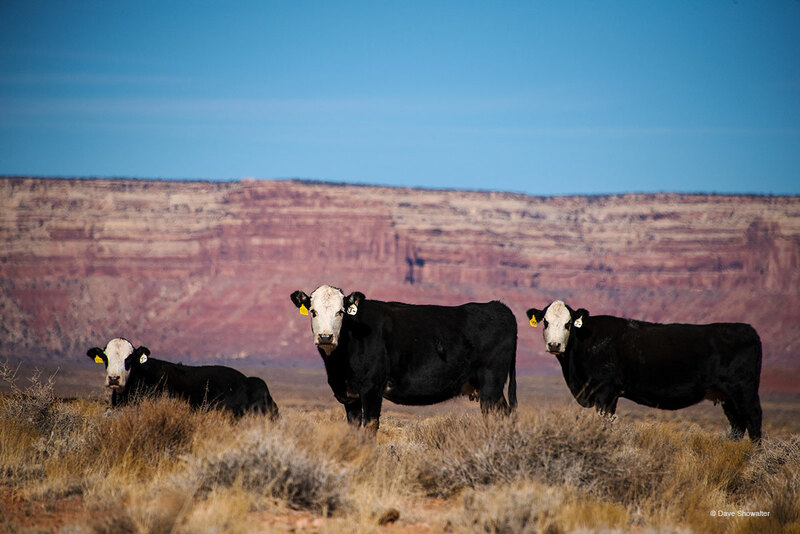 In December of 2017, I made a rapid photo expedition to Bears Ears for the iLCP and found cattle grazing on the National Monument backed by Cedar Mesa, even met the cheerful Navajo rancher Gary, who kiddingly said I should pay $5 per cow to take a photo. Grazing rights are one of many stakeholder uses of public lands. Protect our public lands! Photo © copyright by Dave Showalter.